The SAP Club was started in the Fall of 2011 by students with the desire to further their SAP skill set. While the classroom and instructional environment provided a solid knowledge base, these students wanted to drastically improve their skills and knowledge of all SAP Business Suites. SAP club members immediately began attending SAP sponsored events and competing against schools like Berkley, Stanford, and Notre Dame. Throughout these events, SAP Club members have proven to be outstanding leaders as well as problem solvers in every competition we’ve competed in. 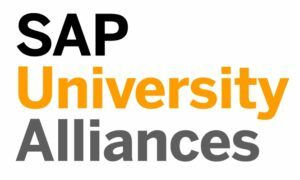 In the Fall of 2016, the SAP Club partnered with both the University Alliance and the Chico State SAP Competence Center to lay the foundation for NextGen Consulting. This student-run consulting firm mutually benefits students and our industry partners by challenging our club members with real-world problem solving as well as an opportunity to demonstrate their SAP skillset in a professional environment.